A V Rakesh Babu, the other Indian in the fray, was sixth with a best attempt of 16.40 metres. 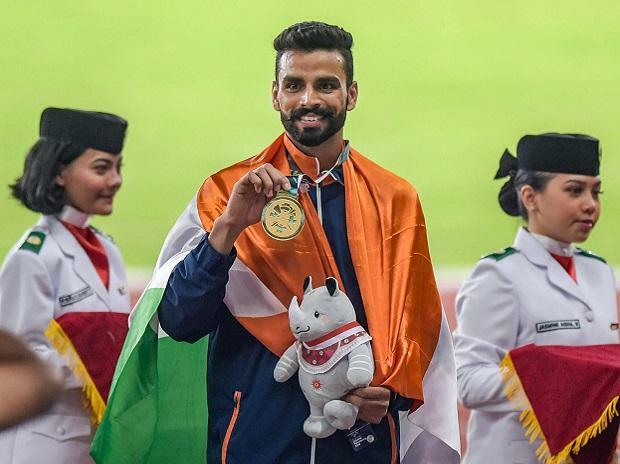 Another Indian in the women's category, Soumya Baby, and men's 20km race walkers K T Irfan and Manish Singh Rawat were disqualified. In boxing, Amit Panghal and Vikas Krishan notched up contrasting victories to enter the semi-finals. In the quarter-finals, Amit overpowered Kim Jang Ryong of North Korea by a unanimous 5-0 decision in the men's light flyweight (49 kilograms) category.